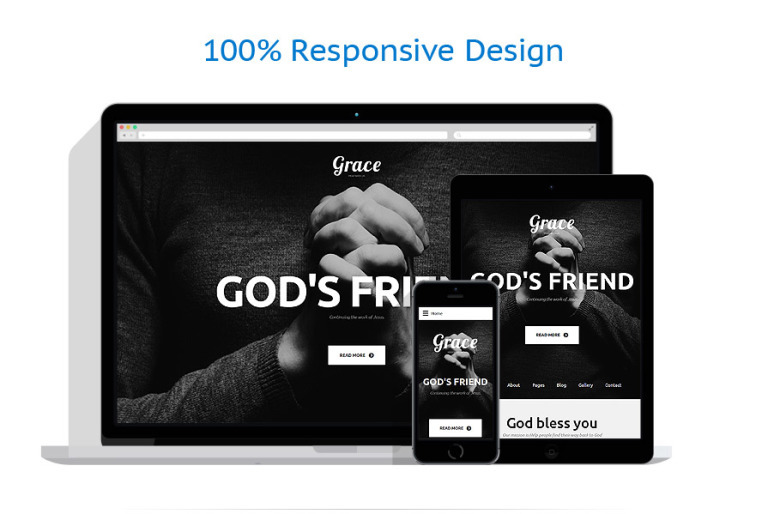 Grace is a fully functional template custom-built for religious websites. It features a full-screen header, where you can add a striking image to arouse visitors’ interest as soon as they enter your site. Under the blog section with a trendy polygon background, there is a gallery supplied with a filtering option to categorize your image content. This religious Joomla template also provides intelligible navigation, and a mega menu allows showing many options all at once, without submenus. Grace also includes features that are designed to cater the special website needs of churches and other religious organizations. This church template has a “Services Section” that showcases the services your users or followers could request from you such as prayer requests, charitable assistance or other services. The template also has unique status post formats that let you post information, news articles or announcements about your church. It also includes a Donate form with PayPal widget that you can use for raising funds for your church or organization. TemplateMonster is a provider of Joomla templates since 2008. The company offers more than 1000 high quality Joomla templates. There is a wide variety of templates for any type of website. Also TemplateMonster has free 24/7 technical support for all clients.